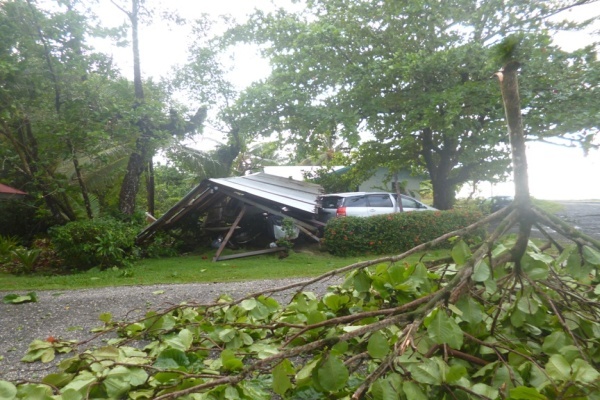 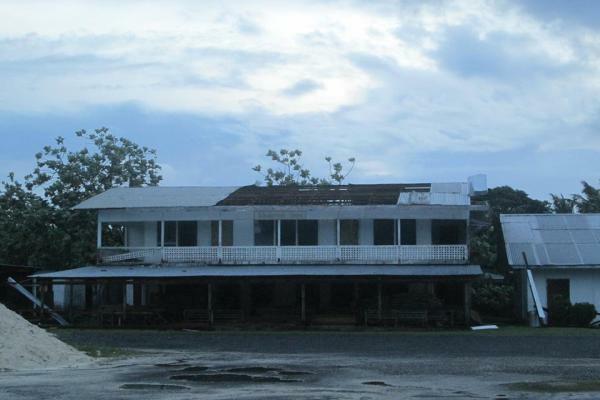 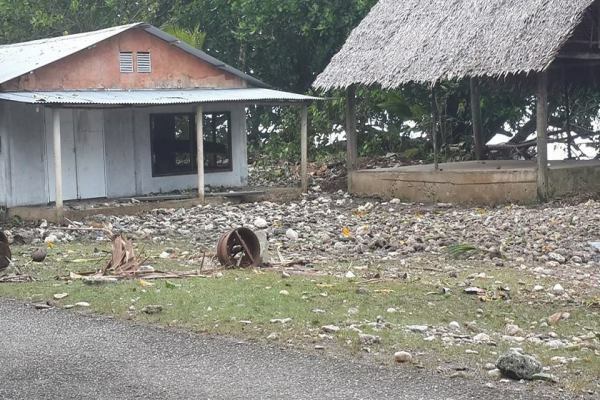 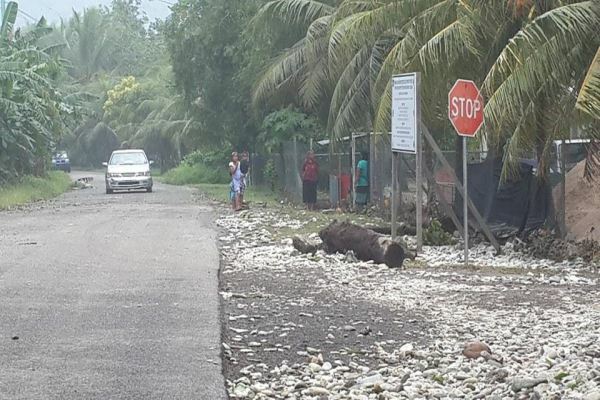 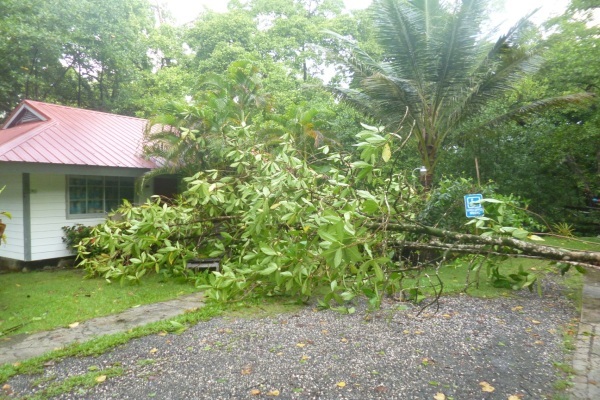 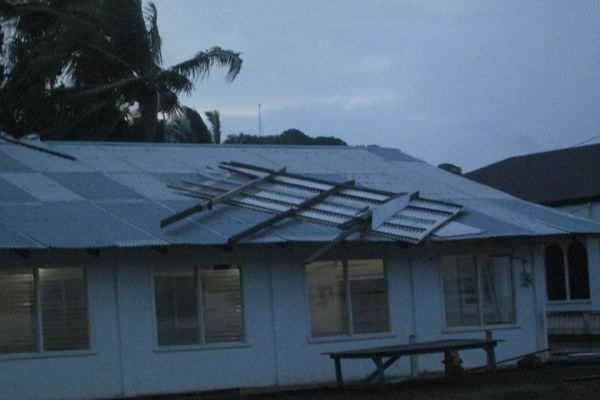 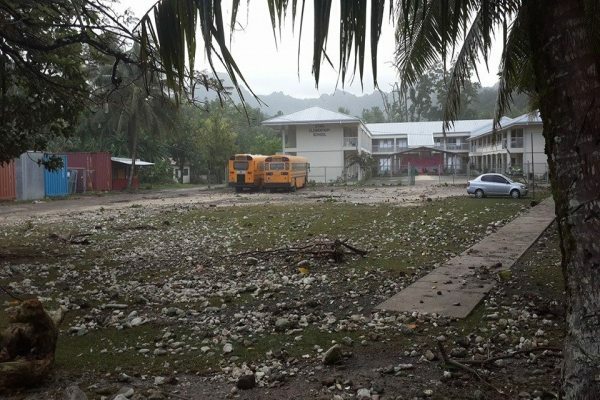 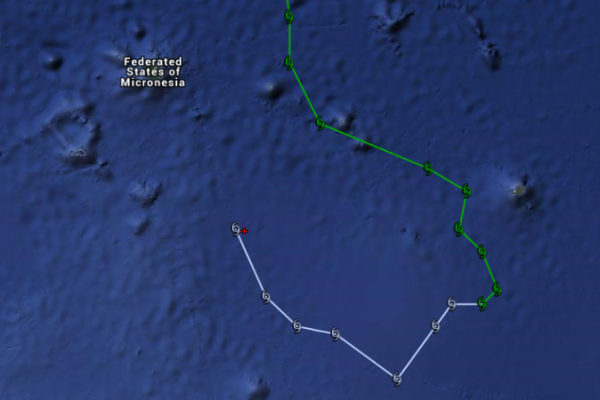 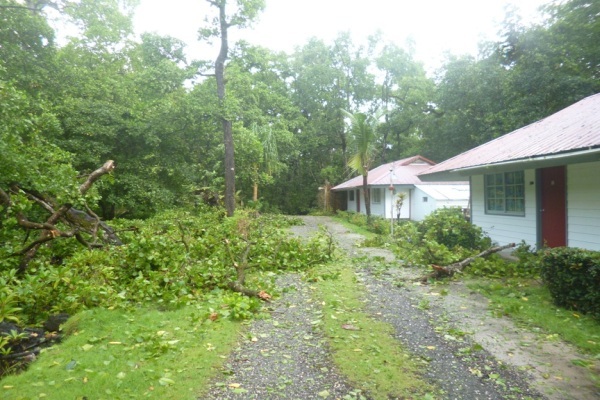 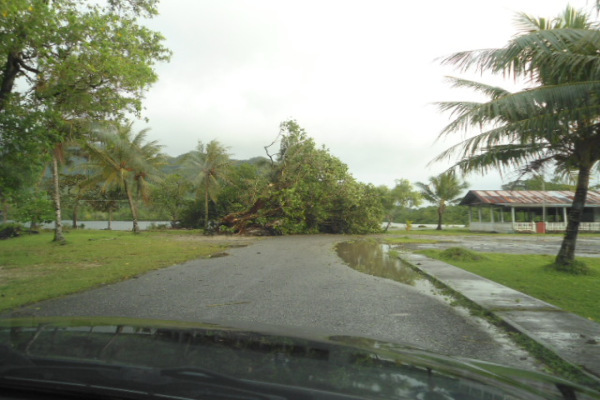 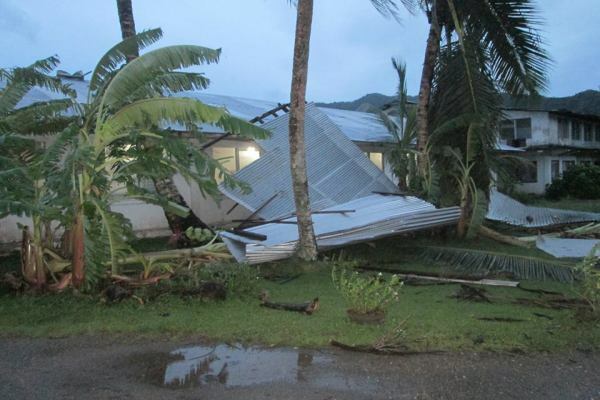 Over Friday 8th and Saturday 9th May 2015 Tropical Storm Dolphin affected Kosrae with strong winds that brought down trees, broke branches, damaged light structures and signs, and stripped corrugated iron off roofs. 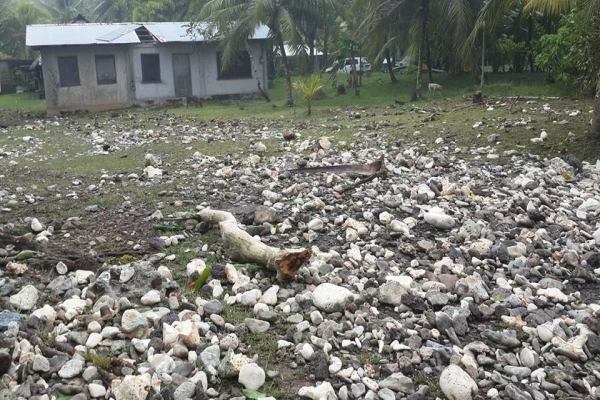 Large swell, particularly during the evening / night of Saturday 8th caused wave overwashing and flooding in Utwe. 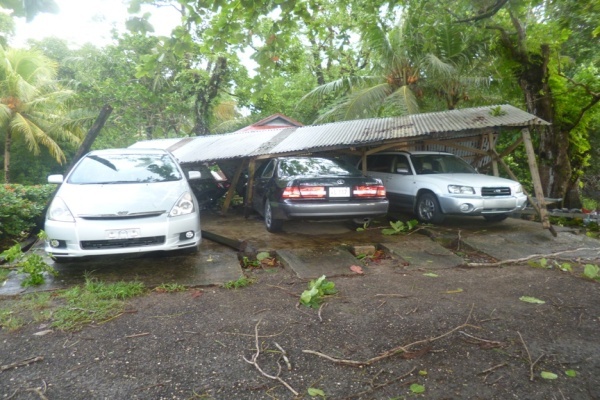 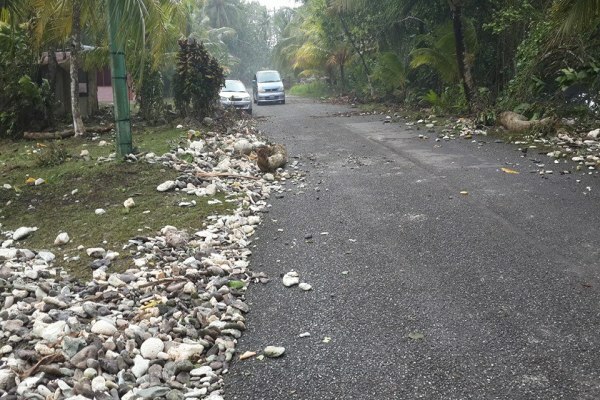 According to Lipar George who lives in Utwe, some houses were completely flooded and residents had to relocate cars and other valuable possessions to safer locations. 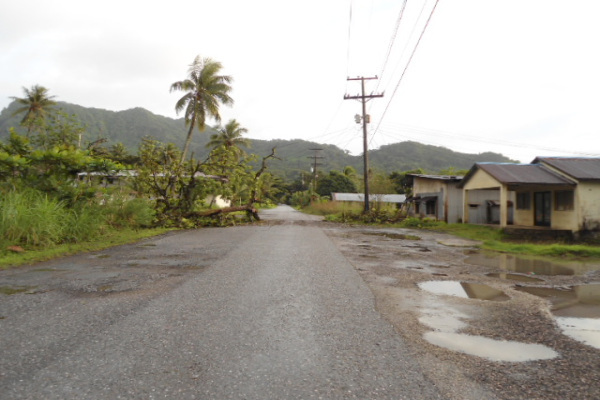 More details of the event will be added shortly. 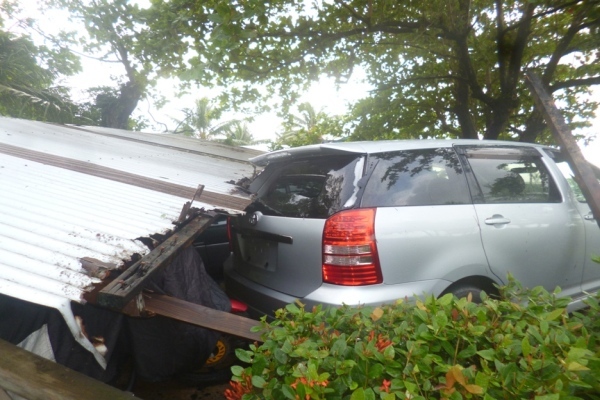 If you have any other details or photographs of the event or the damage caused by it, they would be most gratefully received.